Gao "WeiXiao" Xue-Cheng (Hanzi: 高学成) is the coach for Team WE. Switched roles with Caomei from top lane to AD Carry. His name means "smile" in Chinese. Considered by many to be the best AD carry in the world. He claims to be good at any AD carry with the sole exception of Draven, because catching the axes would require too much effort. He secured Solo Queue rank 1 during Season 3 on KR servers. His favorite champions are Ezreal and Vayne. His ex-girlfriend Su Xiao-yan (苏小妍) is a famous League of Legends caster in China. 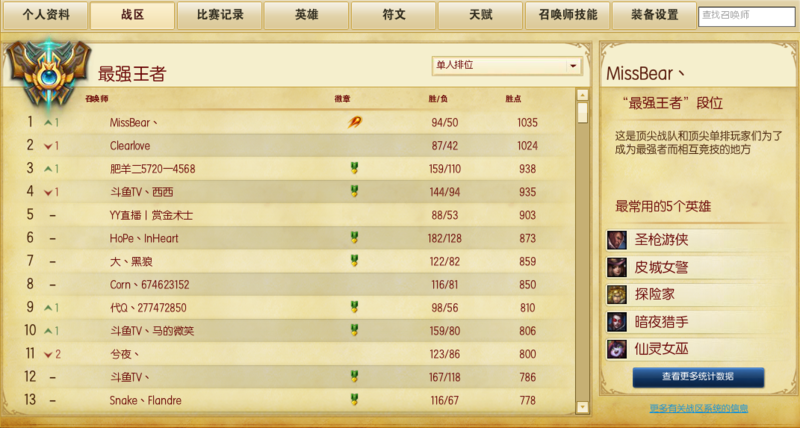 He became rank 1 Challenger in China on the 5th April 2014 with a W/L of 94/50. He is regarded as one of the best AD carries in the history of League of Legends.